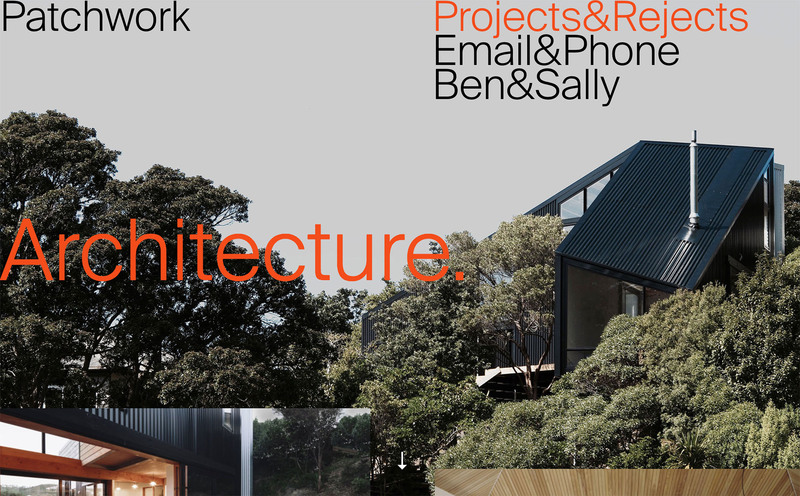 Brutalist Websites – Patchwork Architecture. A: ​Patchwork combin​e​ simple materials to create stunning architecture, their houses are expertly assembled and beautifully considered. The core concept of the ​design was to communicate the architects work in a way that complimented their style. I did this by stripping back the website to its core elements (images, type), essentially turning the content, and design, into a web version of one of their houses. I also played on the notion of patchwork with the loading states and some of the layouts. The word 'patchwork' can be interpreted in a negative way, but in this case I have used ​it ​as inspiration for some of the layout. A: Everything is controlled by plain old JQuery and CSS, I used velocity.js for the animations.